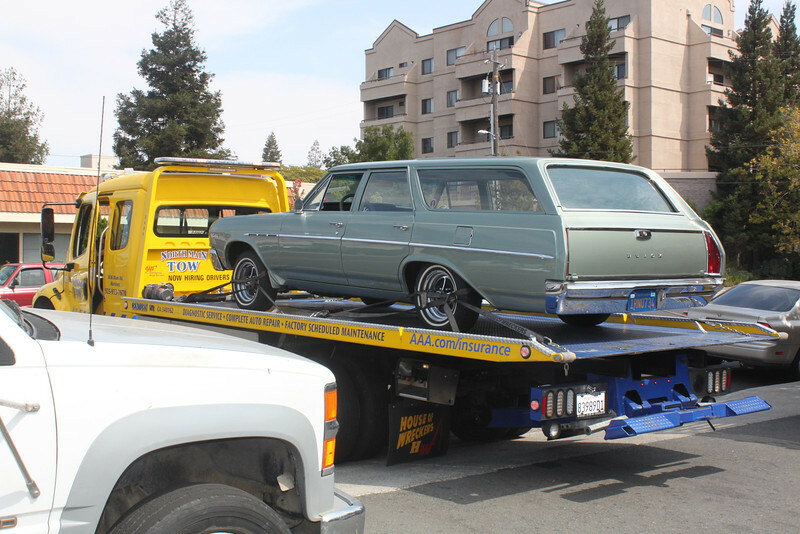 Photo of Biquette being transported on a flatbed truck from Orinda Motors to West Coast Mufflers to have exhaust system installed and a class-3 reciever hitch put on. The flatbed truck positions itself to unload Biquette. Unloading proved to be change because Biquette has incorrect rear springs and is sitting way to low in the back.